Apply Anti Couperose Gel to skin morning and evening after cleansing. Follow with Anti Couperose Cream. 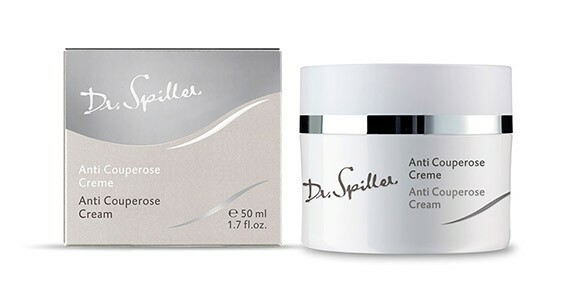 In order to maintain this effect in the long term, Anti Couperose Gel should be used daily in the morning or evening under the appropriate active ingredient cream. Anti Couperose Cream protects and fortifies the blood vessels of skin prone to dilated capillaries and enhances the appearance of couperose. The active ingredients Calmify Compound, Redless Compound and Horse Chestnut work in synergy to reduce redness and help prevent the worsening of couperose. Panthenol further calms irritated skin and helps it regenerate.